This moth shouldn't puzzle me, should it? It looks most distinctive, but in my usual fashion, I have come away from my moths Bible in a state of uncertainty about what it may be. I think that it's a Grey Chi, which is an appealing name, sounding like the word used for 'tea' in Eastern lands; and, as so often when I write these bulletins, I am in bed sipping my morning tea. The name actually comes from the Greek letter Chi, which the vaguely cross-like shape on the forewing was thought to resemble (see left). Reading online about the moth just now, I did at least come across the reason for my persistent failings. The entry on Wikipedia refers to 'markings which vary in intensity', and this is the problem. There is so much variation in moth wing colourings and patterns. I've got more sure during the writing of this post that it is a Grey Chi. I shall stick my neck out and say, it is. 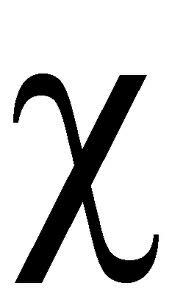 Chi is also part of the Christian symbol, the ChiRho for Christ, so this moth is a brother in religious symbolism to that regular visitor to the trap earlier on in the season, the Hebrew Character. I'm a bit distracted at the moment by the Paralympic Games which look set to be as much of a triumph as their Olympic predecessors. We have a particular interest because Susie Rodgers of the GB swimming team, aka The Suse Missile, was 'best girl' at our elder son's wedding. Here is one of the said son's shirts, ironed by his loving Mum as he and our equally lovely daughter-in-law Abi are over here from Mexico, where they work, to support Susie. What a surprise: a moth has decided to perch on the shirt, a pretty little Single-dotted Wave, complete with its perversely many dots. Also, I mentioned in the last post that we clambered up Roseberry Topping, and on the way back, we had a cream tea in Helmsley. We were sitting outside and, since cream teas involve jam, we were much-visited by wasps. 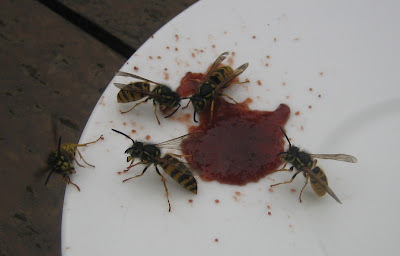 Penny dealt with this by making a wasp decoy and placing it on a nearby (empty) table. You can see how well it worked. The little red dots are interesting. I assumed they were footprints or other traces of messy wasps but Penny thinks that they are jammy wasp poos. What a relief. 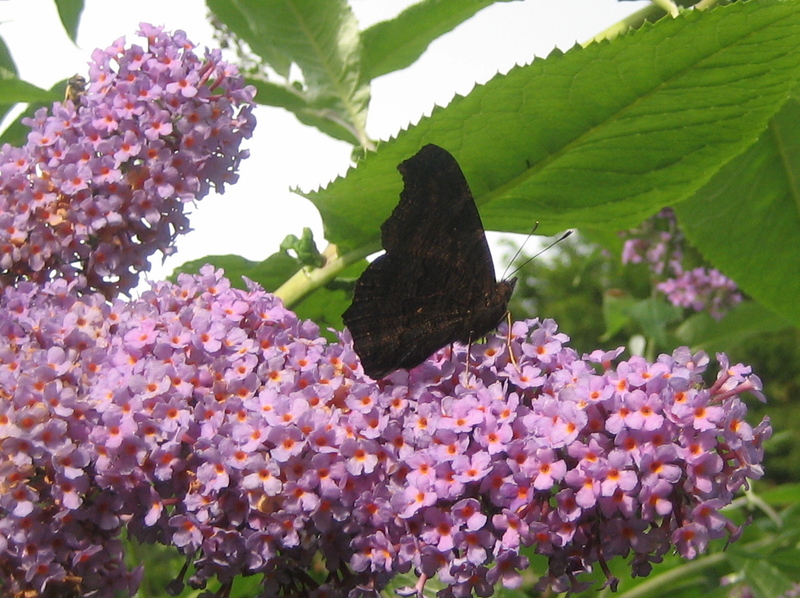 I was getting seriously worried that our soggy summer was going to deny us the beautiful Vanessid butterflies whose arrival towards the end of summer coincides with the blooming of the honey-drenched buddleia which they love. Hooray! Yesterday's lovely sunshine - the sort of weather we should be having and have been largely denied - brought out three Red Admirals and a whole flutter of Peacocks. We were in a bit of a rush because we took advantage of the day, and a day off to boot, to head for Middlesbrough and climb Roseberry Topping, best of mini-mountains; but I managed to get this quick pic of a Red Admiral basking on a warm, white window frame. This is a habit the Vanessids indulge, sun-bathing when they are not feasting on buddleia nectar. A call from the bathroom then alerted me to another, a Peacock, which had taken this habit too far and come inside to sun itself in even warmer circumstances (albeit ones which could do with a lick of paint). 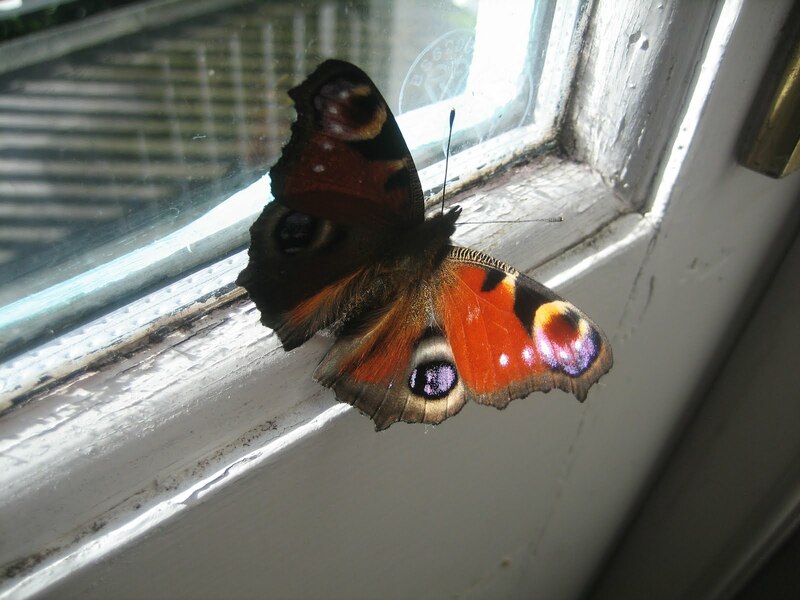 Butterflies can often batter themselves badly when they come indoors; but I opened the window more widely and off he, or she, flew. Interesting isn't it, btw, how dark the undersides are of the wings of these specially glorious creatures? Here is another Peacock illustrating the point while it sups rapturously away. A bit of a diversion this morning, because I was arrested by this image of four Riband Waves lined up on the runway of the trap's transparent collar. 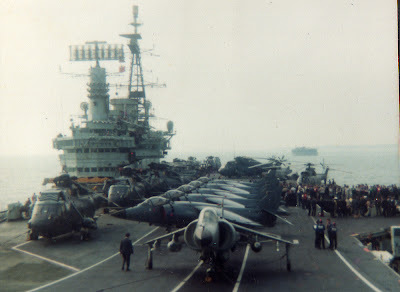 They took me back 30 years to the return of HMS Invincible from the Falklands campaign, to be greeted by - among many others - Mrs Thatcher and me. The two British species of copper underwing are very similar. 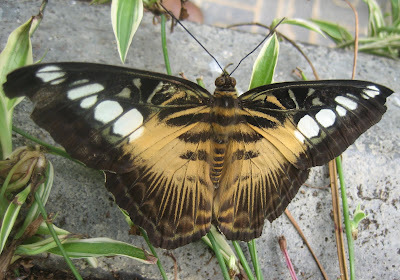 The most reliable way to separate them is to examine the underside of the hindwing. 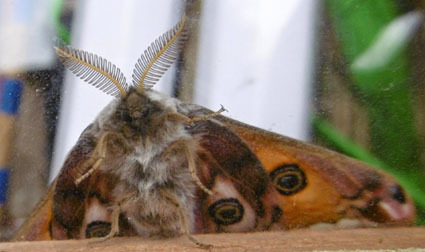 This can be done on an anaesthetised live moth (see Introduction for further details). The two species were separated in 1968 by an entomologist called Fletcher, although Svensson's seems to have received its own Linnaean name in 1949 from another scientist called Rung. Who were these people and who was Svensson? I don't yet know but I intend to find out. I am often surprised at how hard it is to find out about the history of such things, even with the mighty assistance of Google. After yesterday's Sallow blunders, I will research patiently and see what else I can discover, but this may take some time. I have also failed, so far, to persuade a Copper Underwing to show me its underwing, let alone the underneath of its underwing. As you can see from the picture above, their main intention when the trap is opened is to scurry into the nearest dark nook. But here below is a very battered yellow underwing - a Lesser Broad-bordered, I think - which was less modest. The Copper Underwings are here. See above. Eek! But since I haven't yet persuaded one to show me its actual copper underwing, about which they are very shy, I will stay a little longer in the realms of light. 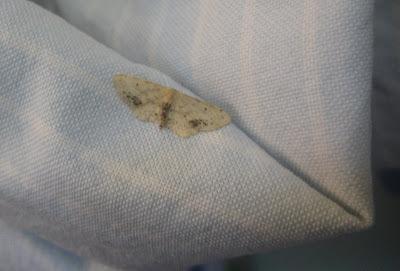 Following yesterday's Sallows, here are a couple of Dun-bars, very pretty late summer moths and very like the Sallows. It isn't easy for the camera to bring out their true colours, I find. Something about the spectrum involved can dull the brightness and the light. 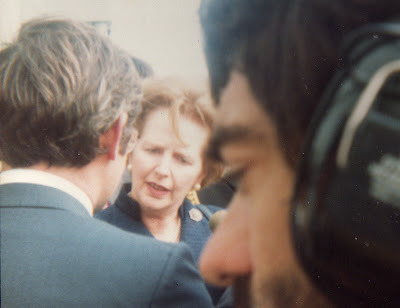 But I hope these pictures give an idea. As you can see in the second, rain is a problem these nights, although so far it has been gentle. I am quick to defend British moths against accusations that they are all small, hairy and brown; and here are two of my allies which flew in last night. I have to admit that they stood out rather in a trap which was well-stocked with, um, small, hairy and brown neighbours. But they weren't the only ones, as the delicate little micro in the first and last pictures shows. Above, first of all, is a Sallow with its delicate and slightly sulphurous colouring, and then below an Angle-striped Sallow which has richer orange tones. Penny noted that the scientific forename for the Sallow is Xanthia and suggested that this sounds like a character from Just William, an older sister maybe for Violet Elizabeth Bott. The Angle-striped Sallow is called Enargia, which might be the name of the daughter of someone working in the power industry. Or are we getting too fanciful? Here's the micro again, below, having reached the summit of its egg cone. I am pretty sure that it is Eudonia mercurella. Eudonia? Would anyone call their daughter that? Lots and lots of moths in the trap today; assorted Yellow Underwings by the dozen, masses of Beauties and Waves and a goodly crop of micros. And, some other insects, notably flies and wasps which were exploring the eggboxes when I arrived, albeit in a somewhat groggy fashion. I mean they were groggy, not me. Here's one, a fly which boldly approached a slumbering Lychnis or Campion - help! Which is it? Penny and I are baffled; she tends to Lychnis and I'm inclined to Campion - then marched across leaving the moth completely undisturbed. Even more dramatic, here's a wasp doing the same with a Beautiful Golden Y. It simply clambered across the moth as if it were a little pebble. The moth slept on. Have you heard the one about the moth? Tee-hee. Actually it made me laugh so much that I ran through to find Penny and pass it on to her. She laughed too. As for the trap, it is awash with the various types of Yellow Underwing. I find it hard to work up much enthusiasm for them because they are so familiar. By way of relief, there were three Willow Beauties perched on the outside of the plastic canopy - untrapped therefore, but dazed or disorientated by the lamp. Here's one, above, with friends. Also in residence were several Single-dotted Waves with varying shades of colour. Sorry for the poor quality of these two photos but they show how different the same moth can appear. I am not sure if I will trap tonight as the weather is lurching between clear skies and monsoons. Boy Scouts, both disabled and non-disabled, are ascending the UK's four highest mountains tomorrow where they will use flints to light torches for the coming Paralympic Games. Please pray for fine weather. We had a bit of a do here yesterday, with children pelting round the garden on a rare warm and even sunny day. Also flitting around were the butterflies I mentioned in the last post plus a Peacock and a Red Admiral - and several magnificent dragonflies. 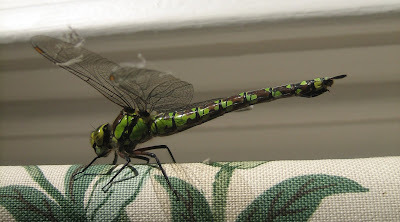 These seemed to enjoy the antics of the children and teased them like the Gallivespians in Philip Pullman's His Dark Materials, until one of them, a majestic female Southern Hawker, took the chase a little too far and zoomed into the house. I caught it in a hankie and released it again outside in front of several wide-eyed tots who naturally wanted to have a magic handkerchief too. 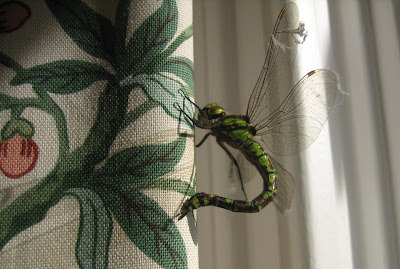 But not before I managed to get a quick picture of it baffled by our floral curtains, arching its body in that extraordinary, almost disjointed way that they can do. Here it is again, after straightening itself out. I thought at first that it had damaged its wings although its flight was as powerful as ever - too powerful for indoors where it was like a jet aircraft trying to fly round St Paul's Cathedral. In fact, it had been helping with out cleaning, scooping up bits of spiders' web and detritus which had evaded our diligent Hoovering. ...of my favourite butterflies. And here is a lovely one; not in France or some such warm and exotic place, but here in Leeds, this afternoon, while we were having tea. 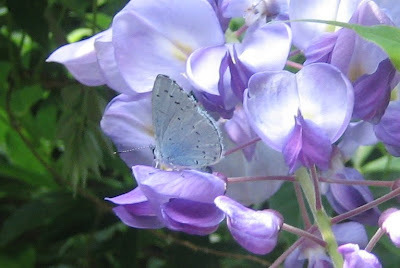 "There's a Holly Blue," said Penny, with impressive assurance, and moments later I was standing on a garden chair and snapping away as the butterfly danced around our wisteria's second, and lavish, flush of flowers. Interestingly, it crept around all over each flower head rather than making a beeline, or butterflyline, for the anthers and stamens. Normally I find small butterflies to be skittish, especially when I am wanting them to be still, but this one was most obliging. Although this has been a terrible year for butterflies so far, August looks like making some amends and today's warm sunshine brought out a Small Tortoiseshell, a Red Admiral, a Comma and plenty of Small and Green-veined Whites. 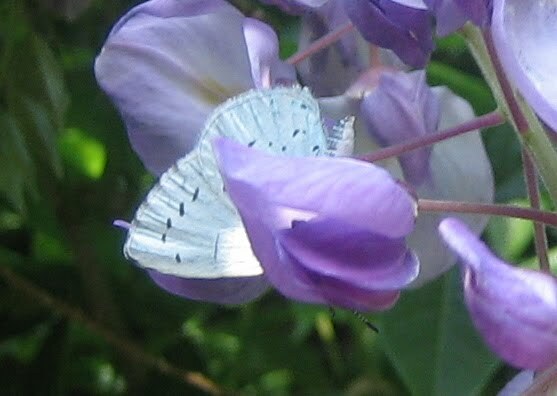 Plus the Holly Blue. Now for less boastful news; thanks to Robert Homan and his kindly way of guiding me to the Truth in comments on my last post, I now know that yesterday's mystery moths were, from the bottom up, a Small Phoenix, a Yellow-barred Brindle and - goodness - a Meal Moth. I've written about this in the past for the Observer, as one of the handful of moths whose caterpillars cause damage to clothes or food, (and therefore obsess the media) and always imagined it to be a small, silvery-grey thing like the 'clothes moths'. Instead - and here it is again, above - it's a beautiful little micro moth, so distinctive that I really wondered if the lamp had attracted something new. Ah well, it is new in the sense that I haven't recorded it here before, nor the Yellow-barred Brindle either. So good has come of all this. Small is beautiful as we all know, and these three moths from this morning's extremely crowded trap bear that out. But small is also baffling in Wainwrightland and although the trio all appear to be very distinctive, I am still trying to puzzle out what they are. I bounded indoors full of excitement, especially about the maroon, pink and sandy one at the top which I am sure is new to my Leeds bag. All three of them also looked to be from the Carpet family and that usefully narrowed the coming search. But so far: bafflement. The green one could be a Beech-green Carpet methinks, but that is rare. I think the other two must be examples of how varied moth patterning is within a species. Or else of how dim I am. Any commentors not on holiday who can help will be thanked profusely. Otherwise I will throw myself on the mercy of our West Yorkshire county recorder Dr Charlie Fletcher. He is an endlessly patient man and must be a very popular GP. From the sublime to the very tiny: back to the world of moths with a gentle bump. Here are a couple of micros whose patterns play contrasting games with abrupt divisions of colour: one split roughly 2:1 between dark and light; I think it's a Marbled Orchard Tortrix. The other with a well-defined blotch of white on its dark back. Taken together, these abrupt contrasts form useful camouflage in breaking up the insect's shape. 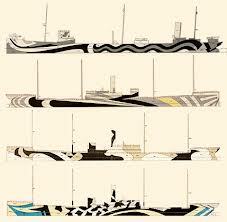 This is the principle behind dazzle camouflage which initially appeared to the Royal Navy and others to draw attention to a ship. "Painting her pink!" you can hear them stuttering. But doing just that, alongside other unexpected colours in curious and very unmilitary colours, enabled quite large ships to melt into distant horizons. I am not sure about the identity of the second moth because I have photographed it from above, while my micro Bible shows most of them from the side. A number of candidates are in contention and I will decide soon (unless an expert commentor does it for me). I thought it might be Epinotia crenana but that's described as rare. Extending my brief holiday from moths, here's an exotic collection of pictures from one of our Oxfordshire stop-offs, the stupendous pile of Blenheim Palace. It was famously designed by Sir John Vanburgh who, closer to home, also built Castle Howard (with invaluable help from Nicholas Hawksmoor). Laid heavier things by far on thee. 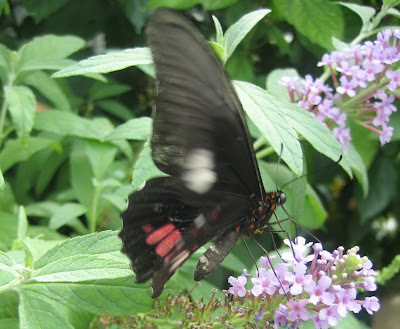 By contrast, the palace's excellent butterfly house is full of delicate grace, much appreciated by the many children going round. I am sure that some of them will develop a deeper interest in butterflies and moths. The hatching cabinet with its rows of chrysalises draws them particularly. While we were there, several Atlas moths were starting to emerge. You can see from the picture immediately above that the cycle of life continues. Penny Eagle-eye also spotted clusters of eggs on some of the leaves. I promise to try to identify them in due course. The greenhouse has a very good identification chart but I was too entranced to make any notes. One last picture: this exotic finch was also nipping about in the greenhouse. 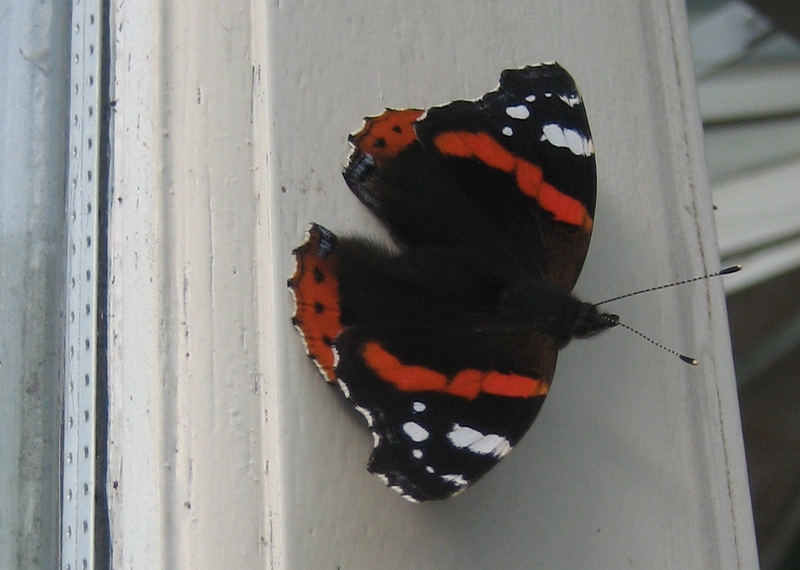 Presumably it is a bird which, like the robin on my trap the other week, doesn't have a taste for butterflies. We've been away down in Oxfordshire, scarcely able to crawl around the gently beautiful countryside because of the sweltering, drowsy weather. At last the summer has come good, and in style. I have recorded my first three instances of the traditional British response after more than five hours of unbroken sunshine: "Ooh, it's a bit too hot." Butterflies were dancing around everywhere, which makes another nice change. And not just real-life ones. Here, above,is by far the most colourful I saw: a tribute to one of our loveliest UK species in the name of a canal barge. I know that's cheating, but the colours are worthy of the actual insect. Two other sights from the canal, just north of Oxford: a barge named after a moth, right, and a little further towards Lower Heyford, the vivid, electric blue damselfly, above, on the adjacent river Cherwell. It was one of half-a-dozen darting about below the bridge at Shipton. This weather can go on for ever, so far as I am concerned.